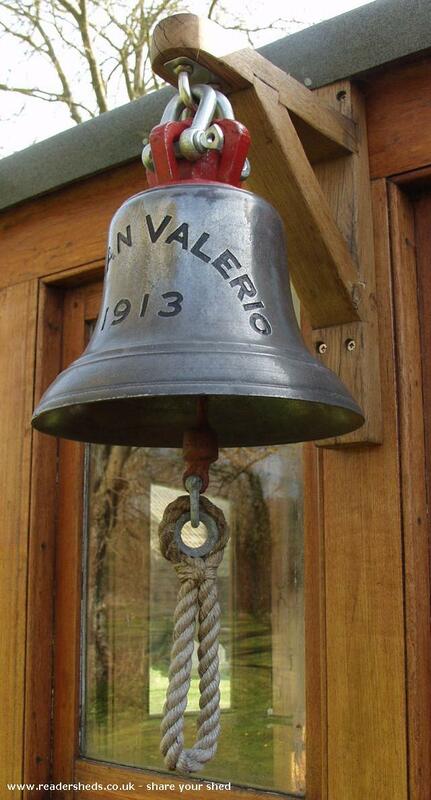 My 'shed' is made from the old wheelhouse of a wooden tanker the S.S.San Valerio launched in 1913 . 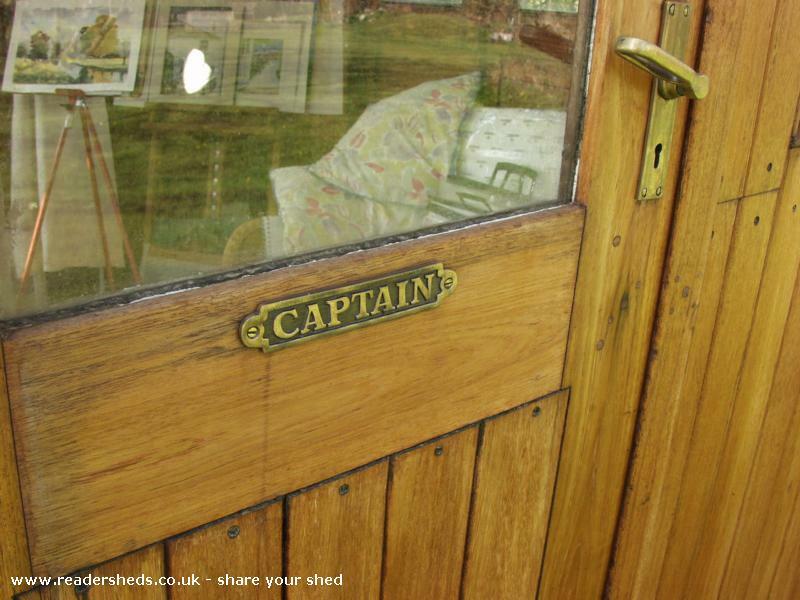 My husband spotted it on that well know internet auction site and decided to bid for it with a view to housing his amazing collection off nautical memorabilia . 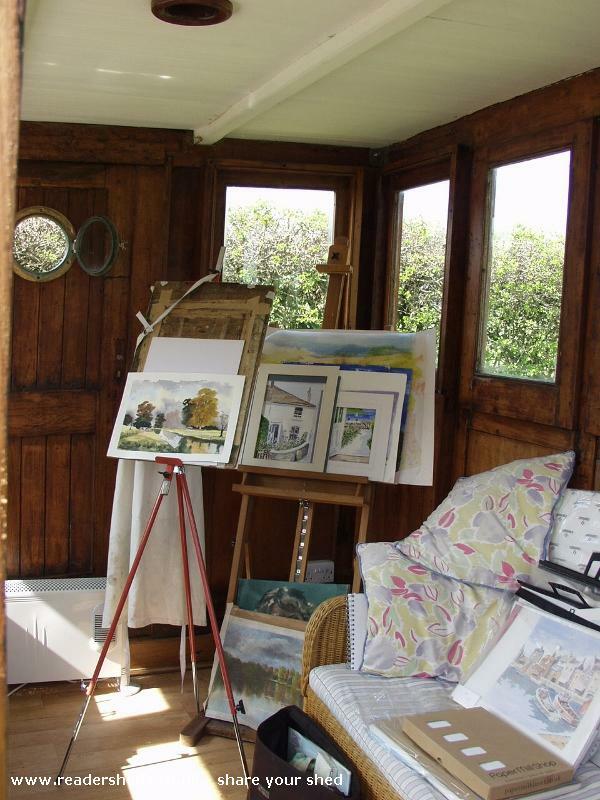 I had other ideas and decided it would make a perfect studio to practise my hobby of watercolour painting and after some 'discussion' I got my way! The bid was placed and the wheelhouse was won . 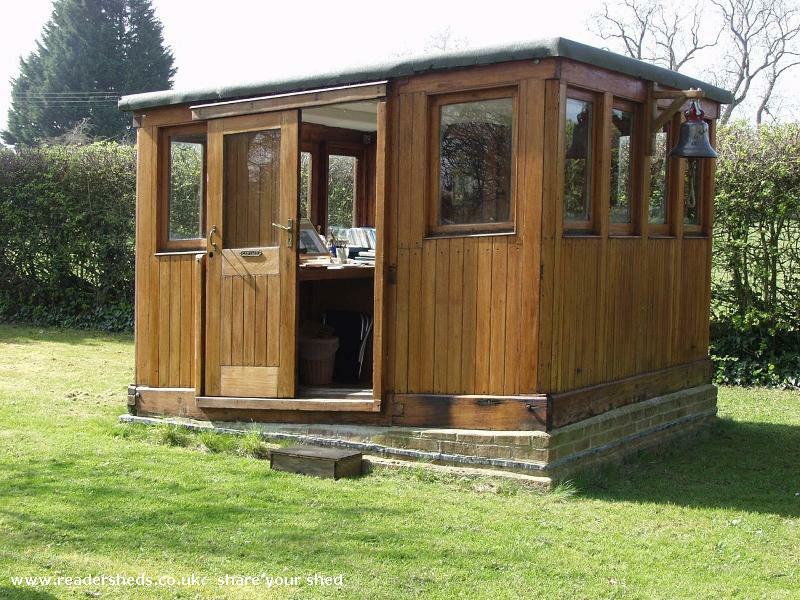 Geoff arranged for it to be delivered flat packed on the back of a low loader and he and friends re assembled it in the garden .He then fitted out the interior , stripped and oiled the teak and while my back was turned managed to slip in the odd antique! Next year it celebrates its centenary and seeing the build quality it is likely to be serving in its concrete berth in another 100 years time. 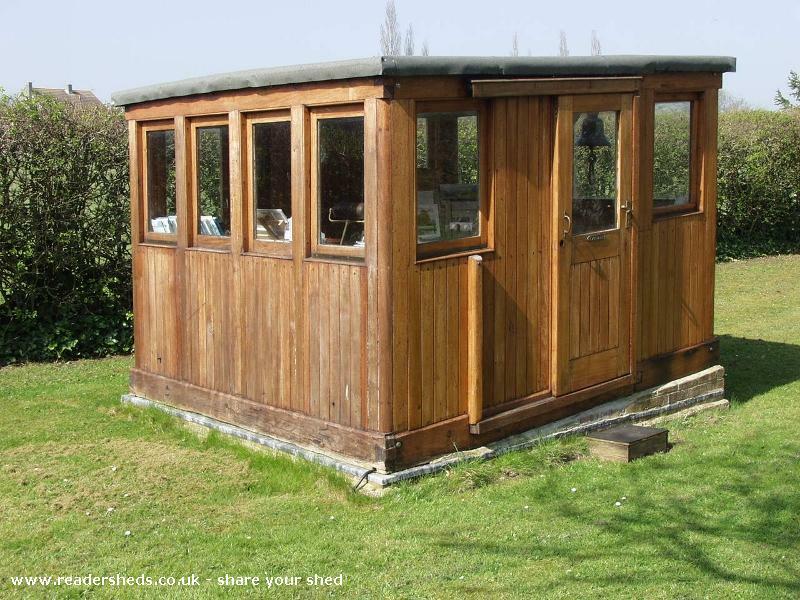 It is quite simply my favourite place and proves that girls can be sheddies too! The history of the S.S.San Valerio wheelhouse is just amazing. 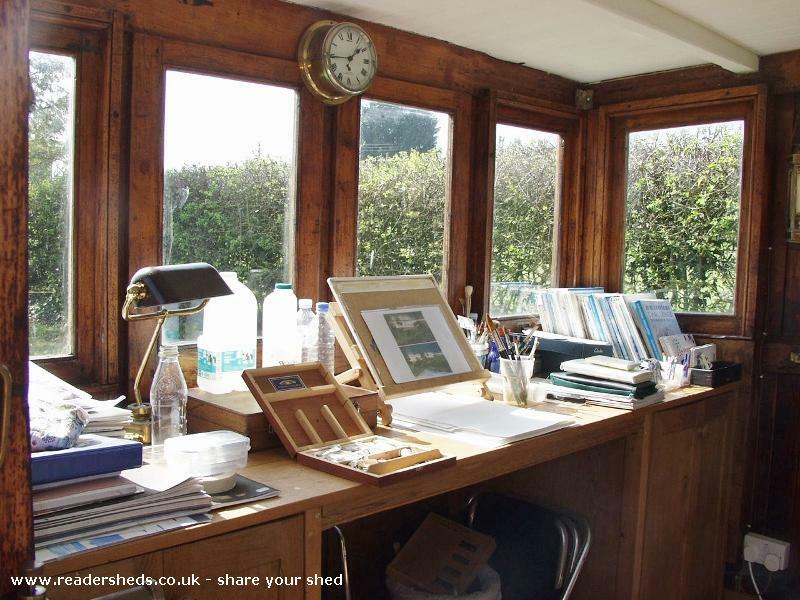 You can read all about it at the website link below.Then click on part 2 to read the Ship to Shore feature telling the story how we acquired , shipped, built and fitted out my amazing wheelhouse studio!